Sabrina Carpenter | News | Singular North American Tour Announced! Singular North American Tour Announced! 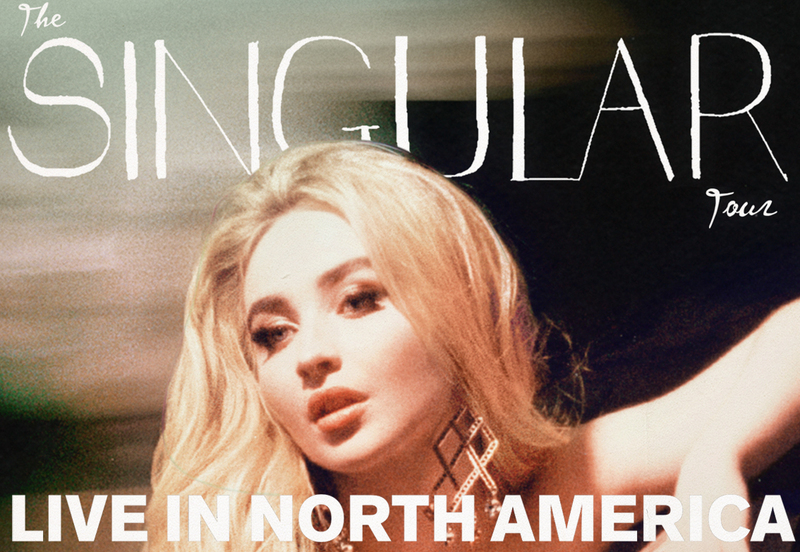 Sabrina is proud to announce her Singular Tour of North America! Don't miss Sabrina when she visits your city, performing songs from her new album, Singular Act I, plus fan favorites from her music catalog. Check out the TOUR section for a full schedule of dates. Tickets go on sale to the public on Friday, February 1st, but Sabrina Carpenter fan club members will have FIRST access to preferred tickets and VIP Packages beginning tomorrow, January 29 at 10 a.m. local time. If you are not yet a member, join now to take part in our exclusive member presales! * Our member presale begins Tuesday, January 29 @ 10 a.m. local time. * Members, remember login for Sabrina's site is now: registered EMAIL + current password! * You must have a current paid membership to participate in our member presales. MORE INFO. * Members, when our presale begins, visit the TOUR page, and you will see your unique presale code displayed at the top of the page. * Scroll down and click the GET TICKETS link for your show date to reach the ticketing site. * Our fan club presales will end on Thursday, January 31 @ 10 p.m. local time. * March 2 - Orlando: Presale access is not available for this show. Tickets for this event are included with admission into Universal Studios Florida. You may purchase a VIP UPGRADE after purchasing a park pass. * March 10 - Washington DC: VIP Packages are not available for purchase on the ticketing site. You may purchase a VIP UPGRADE after purchasing your concert tickets for the DC show.